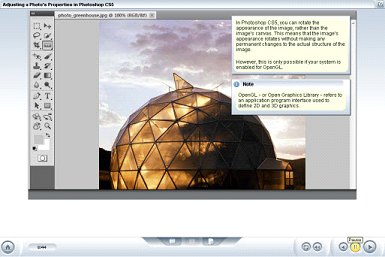 Our course tutorials explores the new Photoshop CS5 interface, as well as integration with Adobe Bridge, the new Mini Bridge panel, and manipulation tools used to automatically straighten, crop, rotate, and resize images. Learn to use the feature that allows you to temporarily rotate the appearance of a photo as you are working on it. The course also explains the basics of retouching photos using red eye correction, automatic color and tone adjustment features. As we move beyond the basics, explore the tools you need to select, correct, adjust, and even create images. Features such Content Aware filling and those used to adjust an image's overall color and tonality are also included, as are Photoshop's equivalent to natural media tools used for painting and drawing such as the new Mixer Brush. The course also delves into the exciting realm of Photoshop filters, the new Puppet Warp feature, layer styles, and blend modes. 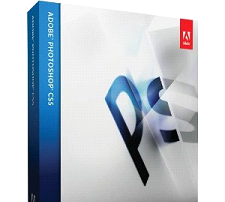 The audience profile is a range of Graphic Design or other business/IT professionals needing to learn the basics of using CS5 without any experience with the specific product. Students are expected to have basic computing and word-processing skills, familiarity with some web and design terminology, and experience working in a Microsoft Windows or Apple Macintosh environment.